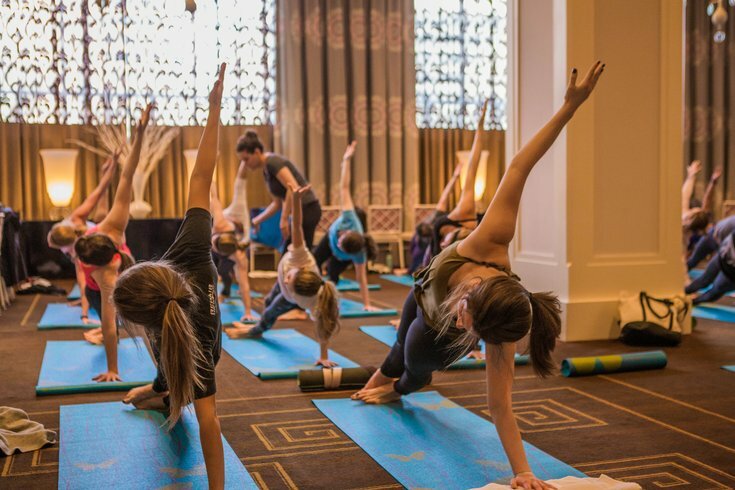 For the fourth year, Hotel Monaco in Old City will host Resolution Rx. At the hotel on Sunday, Jan. 28, local studios will offer classes and there will be a wellness expo. Each class is $5, with all proceeds benefiting local nonprofit Back on My Feet. The charity organization combats homelessness through the power of running, community support and housing resources. This year, classes from Freehouse Fitness Studio, Three Queens Yoga, allongée technique, City Fitness and Boss Chick Dance Workout will be offered, and SoulCycle and Solidcore will be on-site to talk tips and techniques. Red Owl Tavern will offer healthy bites to help attendees refuel between classes. Each class is 45-minutes long and a ticket is needed to participate.